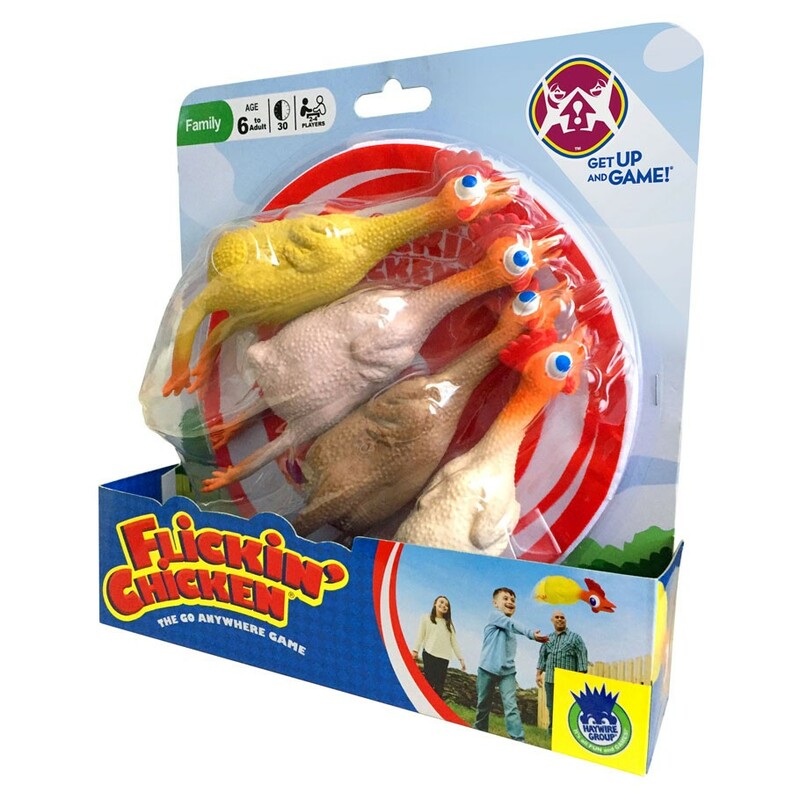 Each player gets a different colored rubber chicken. One player throws the target nice and far. The target becomes the “hole,” like in golf. Players take turns flicking their chicken at the target. If you don’t reach it at first, throw from where it landed until you do. Each throw counts as a point and the lowest score after nine rounds wins.